Children love the excitement of searching for buried treasures. Purchasing a metal detector for the child in your life is a great way to start them on a life-long passion for using detectors, but it can be difficult knowing which metal detector would be best for them. Our list of metal detectors for kids is guaranteed to help you find the best choice for some awesome fun. Before you purchase a metal detector for a child, you need to consider how old the child is. For very small children, it makes more sense to purchase an easy to use adult metal detector and let your child go with you. Consider more than the child’s age. You also need to think about their attention span and their size if you plan on them doing the searching on their own. If you check any metal detecting forums, the Bounty Hunter Jr is always one of the ones listed as best for children, especially those under 8. While it can be used by both adults and small children, it is designed for children and their needs. 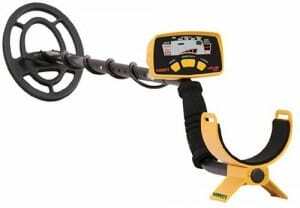 This is not a toy, but a professional quality metal detector. It features very sturdy construction. It folds down to fit the size of the child. The Bounty Hunter Junior is very easy to use. 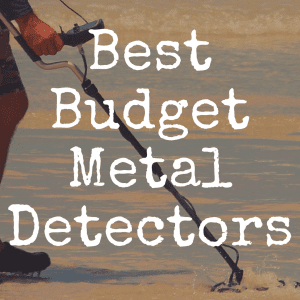 The price (about $70) is perfect for an introduction metal detector. Simple display indicates target so the child will know he/she is near metal. Two knobs for easy control. No headphones are needed as it has an external speaker so anyone with the child can help them learn to recognize the tones when they are near their target. A discrimination control allows the child to avoid iron and other metals they don’t want to find. It detects coins about 5” deep. The coil is 6.5” and is weather resistant, but it is not water-proof. You need to remember this if you plan on searching anywhere near water. Remember that even if you don’t plan to search near water, children have a way of finding it. You may want to consider purchasing a more water-proof model for a child, as mud puddles and shallow water are too exciting to avoid. 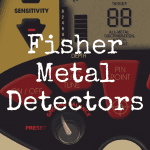 Another great metal detector for an older child is the Fisher F2. 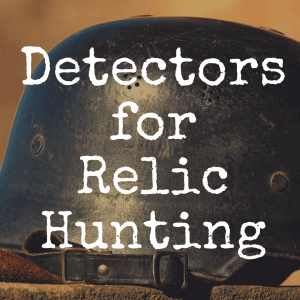 While it is a great device, it is more than twice the cost of the Junior and if you are concerned about spending that much (around $200) on a child’s metal detector, you may want to stick with the Bounty Hunter. The Fisher F2 has a giant LCD display that many children (and adults) love. It identifies the target and how deep it is and has touch pad controls. However, the Bounty Hunter Junior is still the better option for a child. While both are very simple to learn to use, the Junior has fewer features to cause problems and stop working. 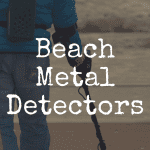 When you are purchasing a metal detector for a child, you need to consider what can go wrong. Even the most responsible child will get excited and forget to be careful with their detector. Push buttons get pushed too hard and LCD displays can crack if they are dropped too hard or too often. You want to choose a device that is built with excited children in mind. One like the Bounty Hunter Junior will still be a wonderful detector when they reach adulthood. 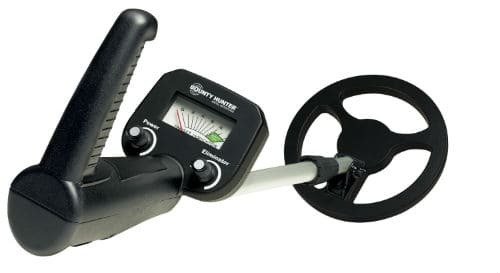 Purchasing a metal detector that will be simple (and small) enough for a child and will still have enough features that they don’t get bored with it when they get older is your goal when trying to find the perfect metal detector for a child. The Bounty Hunter Junior is just such a machine, as many experienced adult hunters still use the device for its durability and simplicity. It has all of the features, such as discrimination and sensitivity settings, that any hunter will want/need for their searches, but at a price that everyone can afford. The only thing that this model does not have is the ability to be submersed in water. You can use it in a few inches, but if you want a model that you can dive with, this is not the detector for you. This is another popular metal detector for kids. One important feature that this one has that the Bounty Hunter Junior does not is that the coil is water-proof for up to two feet. The entire detector is not, but the coil is, so unless you are looking for a detector you can dive with, this one should work well for any searches near shallow water. It has a 6.5” coil and it is child-size. It will easily find coins that are 5” deep and larger objects can be found up to two feet deep. There is an eliminator control so your child won’t hear any tones for iron, unless they want to find everything. Another great feature of this model is that the length is adjustable from 26” to 36”. This makes it one that your child can grow and still be able to use easily. It is very sturdy and is designed to take the abuse that anyone would expect from children playing with it. The Garrett Ace 150 has some great features that children will enjoy. It has three modes, including all metal, coins or jewelry. It also has push button controls for power, modes and sensitivity levels. While your child may not understand the sensitivity level, you can easily set this level for him/her. It has a cool LCD display that excites many children as they look like cool video games. A feature that sets this detector apart is the target ID legend and a coin depth indicator. 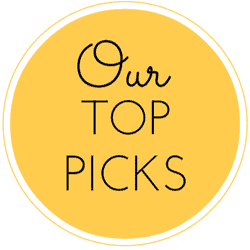 While many children just want to hear the tone and dig, this is a great feature as your child gets more mature and wants to search for only certain items. The Tesoro Compadre is not considered a child’s metal detector, but it would be great for an older child. It has a sturdy build, but also has a lifetime warranty so you won’t have to worry about the bumps and bangs it takes as your child uses it. It is very lightweight at only 2.2 pounds and has a one knob control for discrimination levels. It has an eight inch coil. It is very easy to use and is definitely a turn on and go model. Your child will have fun with it as soon as it comes out of the box. Because even experienced adults enjoy using the Tesoro Compadre, this is a metal detector that your child can definitely grow up with. The biggest con to this model is that it is not child-sized and cannot be adjusted. It would not be a good choice for a small child. The Bounty Hunter Junior model is the best choice for children up through the age of 10 or so. It has all of the features they need and is built for children to have fun with. The one drawback is that the coil is not water-proof. For children older than 8, a different metal detector might be a better option as they tend to like more buttons to play with and learn how to use. When you are searching for the new metal detector for your child, consider that many children have short attention spans, especially if their new “toy” doesn’t have lots of flashing colors or cool sounds. You need to purchase one that is considered a turn on and go model. This basically means you won’t have to spend hours teaching your child how to use it – they can simply turn it on and go outside whenever they want to look for some cool treasures. Try to find a model that is around $100. This gives it enough features that your child can use it for a long time, but it is still simple enough for them to learn and use easily. These metal detectors may not distinguish the all of the metals from each other, but your child is sure to have fun digging holes and wondering what they might find. There are many metal detectors that offer more features that allow a child to have fun and still be able to enjoy it as they grow up. The biggest problem with purchasing a metal detector for a child is the length. If you purchase one that cannot be adjusted, you should plan on helping the child scan as their arms will become tired quickly. Treasure hunting with a special child will make memories that child (and you) will never forget. Did you find this article? If so, please “like” our brand new Discover Detecting Facebook page! For continued reviews of metal detectors, be sure you bookmark our homepage!